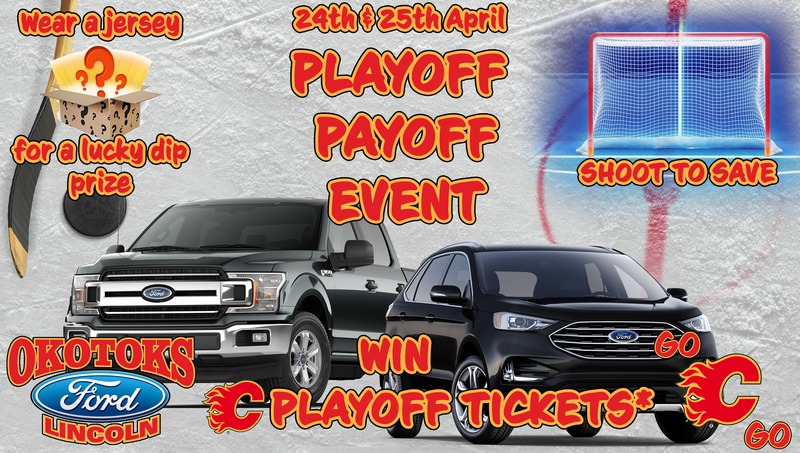 Okotoks Ford are celebrating the Flames journey to the Stanley Cup with a Playoff Payoff Event! Join us in-store for our two-day special event to win fantastic prizes and score some great deals! *Playoff Tickets Dependent on Flames progressing to the next round.